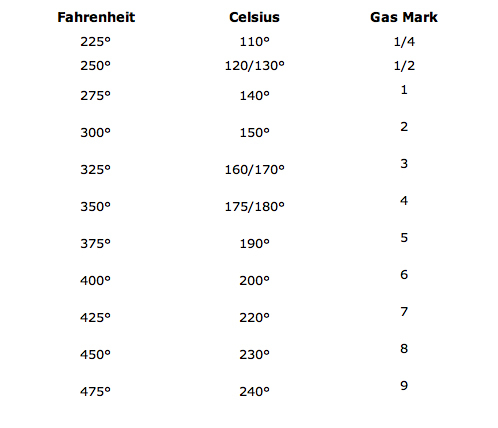 This Fahrenheit Celsius conversion chart is necessary when using recipes from other countries. Germany, for example, use Celsius (centigrade) in their recipes. The United States and Canada (where I am) use Fahrenheit. The following chart will also help when using recipes from countries that use Gas Mark. 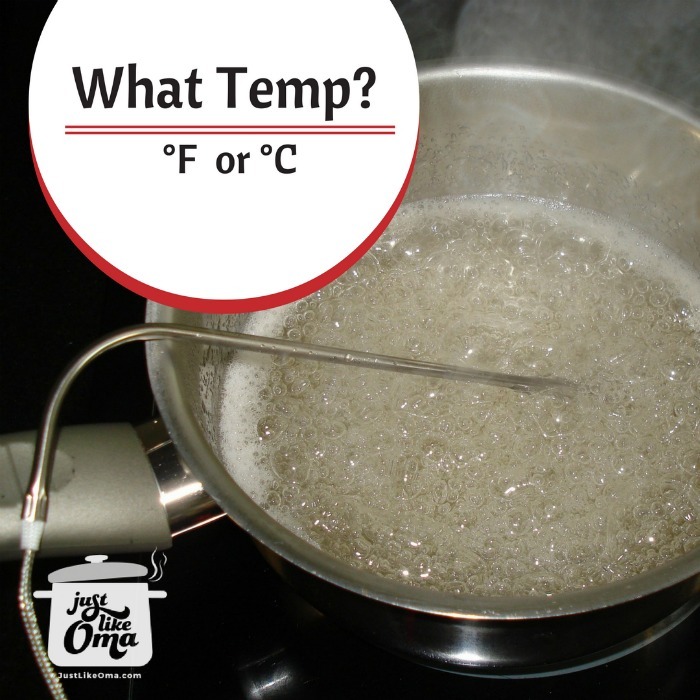 The temperatures given in the chart below are approximate, but accurate enough for your basic cooking and baking needs. Different makes and types of ovens will also vary, so refer to your instruction manual. HINT: Celsius is approximately 1/2 of Fahrenheit. If you have any problems using this converter, do let me know. "My child, if your heart is wise, my own heart will rejoice!"